The Wehrle Golf Dome in Clarence recently completed renovations reopening with a completely new look and name. 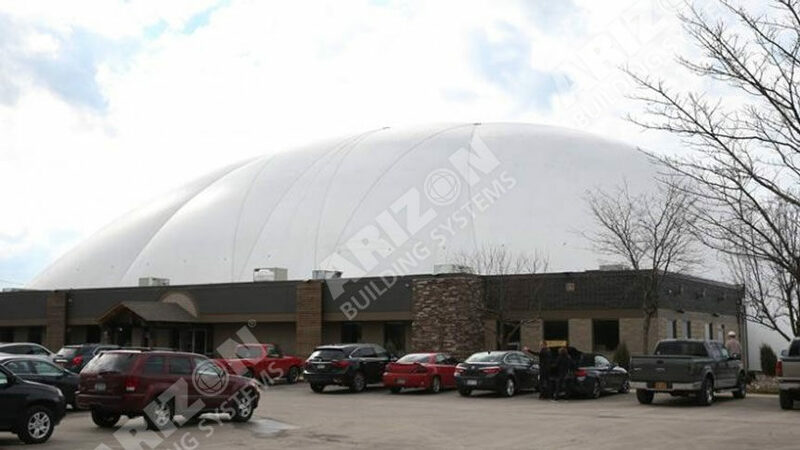 Arizon provided replacements for the 23-year-old dome as part of the renovations. New driving range stalls and new turf were also included in the renovation, with the owners also adding a restaurant and bar close to the indoor range. The Wehrle Golf Dome officially was renamed The Dome. Read more at buffalonews.com. WHAT WERE AIR STRUCTURES FIRST USED FOR? Is Your Dome Ready for Winter?